Americans’ views of LGBTQ rights have, by and large, been advancing in favor of acceptance and equality at a pace perhaps more rapid than any other modern social or political issue. We live in a country as divided as it has been in decades. What does this ongoing civil rights struggle say about America today? What are some of the benchmarks by which progress is being measured? We heard a series of conversations on where the LGBTQ movement stands, what its aspirations are, and what obstacles lie ahead. 5:30 p.m.Leading with Values in Corporate AmericaAnna Walker, Senior Director, Global Policy and Advocacy, Levi Strauss & Co. 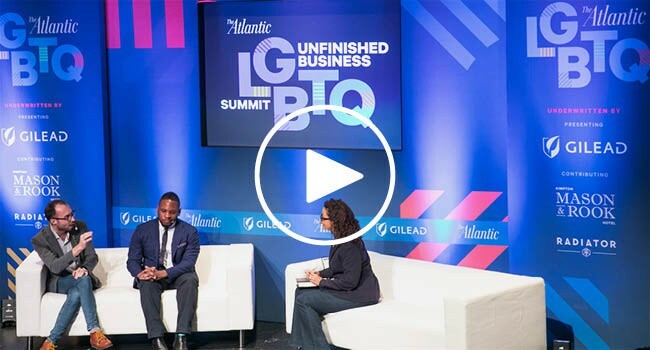 The Atlantic hosted its second LGBTQ Summit to explore the complexities of the national conversation on equal rights, from national security to pop culture. The Atlantic's inaugural LGBT summit convened wide-ranging conversations on queer identity in America. ** This session is produced by our underwriter and not by The Atlantic's editorial team.